Campers will love receiving this camp card. Inside: Arf! Yip! Woof! 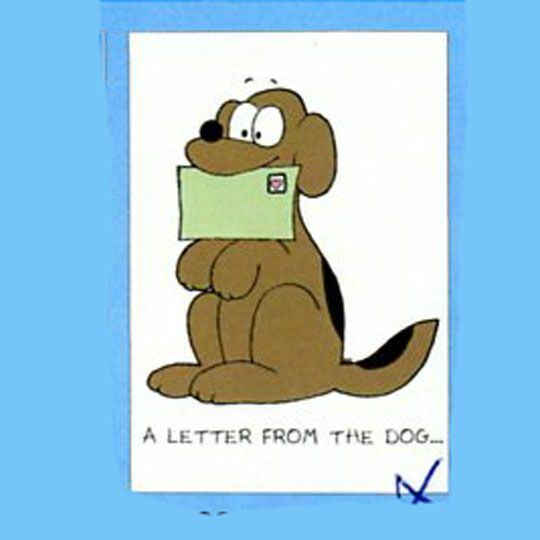 Isn't this an amazingly intelligent letter for a dog?